I like to think I’m a pretty organised person. 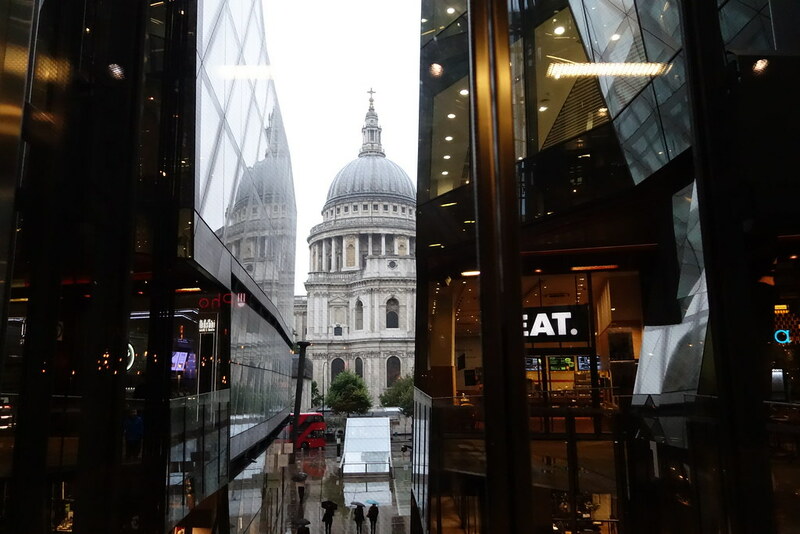 If I was really on it, though, I would’ve combined a visit to the Cathedral Lates with a meal at Barbecoa by St. Paul’s. 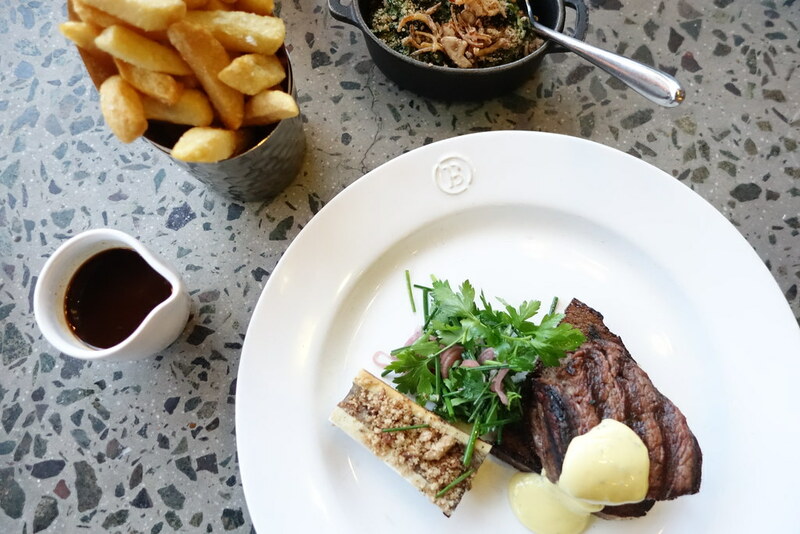 Barbecoa is another feather in Jamie Oliver’s cap – a steakhouse, focusing on slowcooked and dry aged meat. 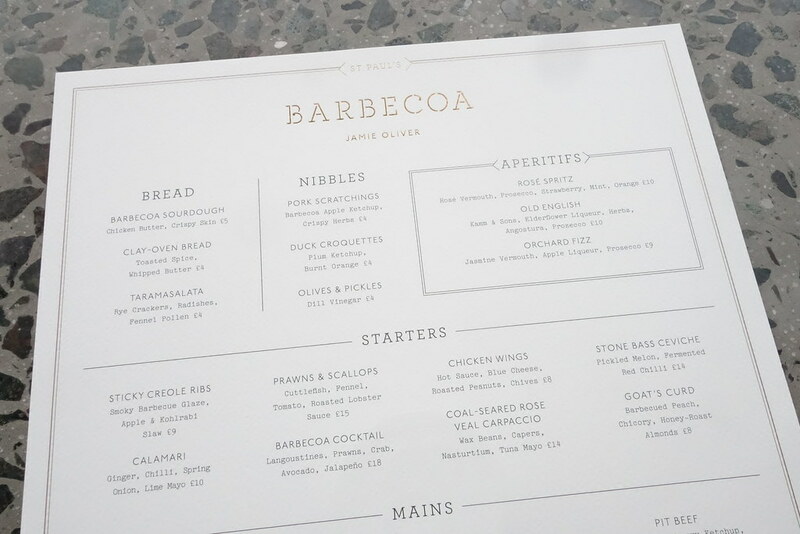 The kitchen at the St. Paul’s Barbecoa has a Robata grill and a Texas pit smoker, too. 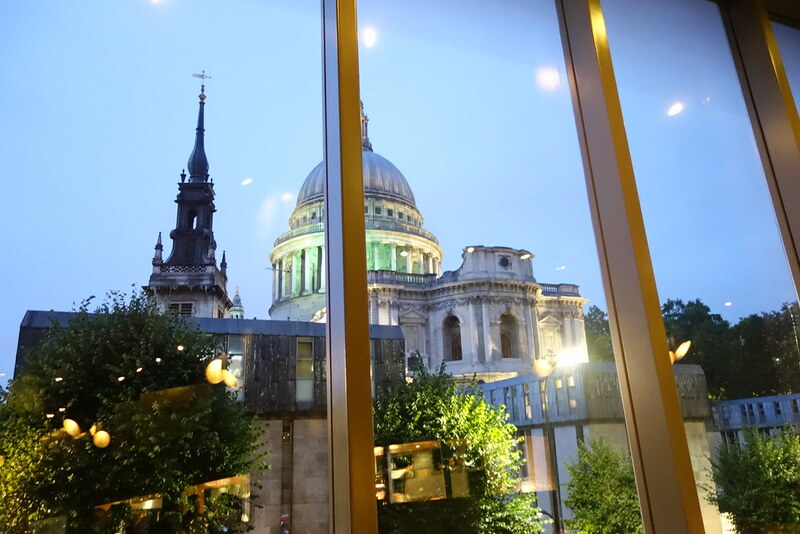 It’s worth going for the view alone – I had no idea you could get such an incredible view of St. Paul’s Cathedral while tucking into a delicious steak. 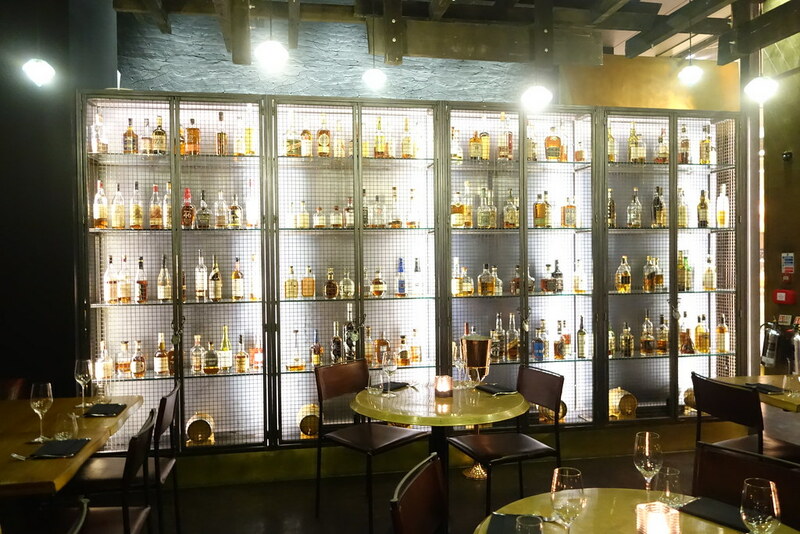 Barbecoa was full of surprises – like the fact that they have the largest collection of whiskeys in London, tucked away in a little room. 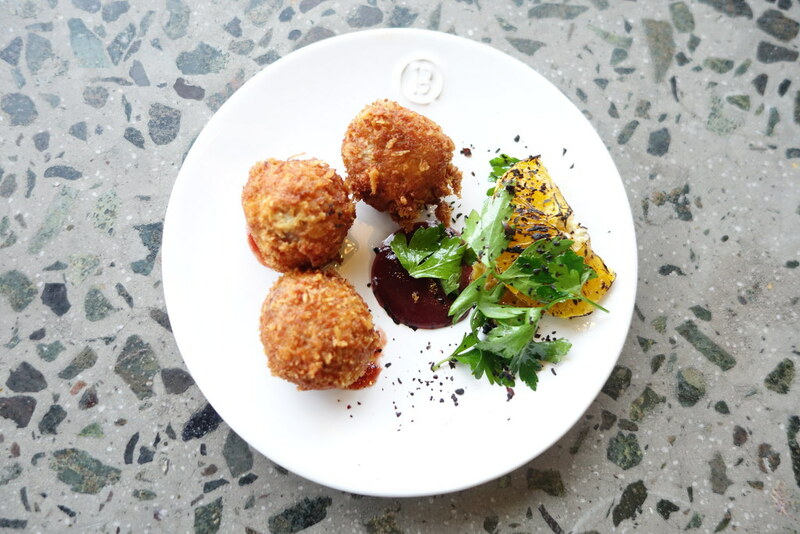 We started off with the duck croquettes, which were so good it was the first thing my friend texted me about the following morning. Perfectly crisp on the outside, they practically melted in your mouth – and the plum ketchup was tart without being bitter. Absolute perfection. 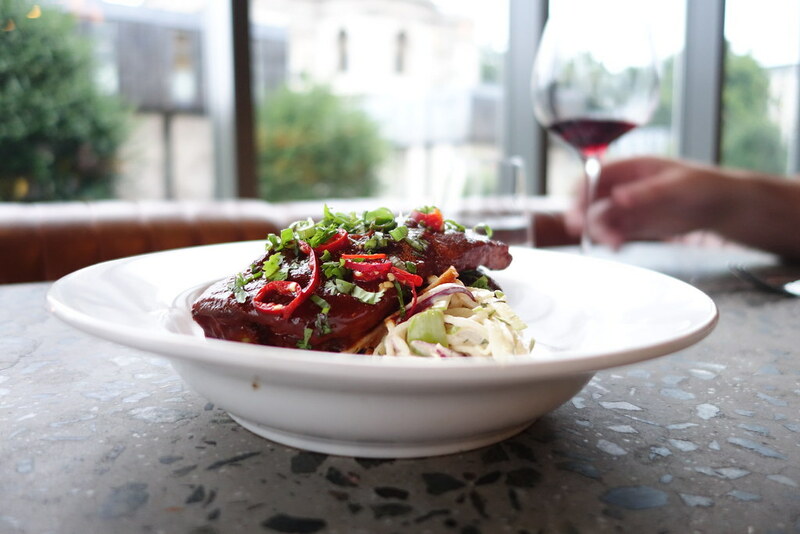 Given that we were both planning to tuck into some steaks and sides we split a starter, and went for the sticky creole ribs. 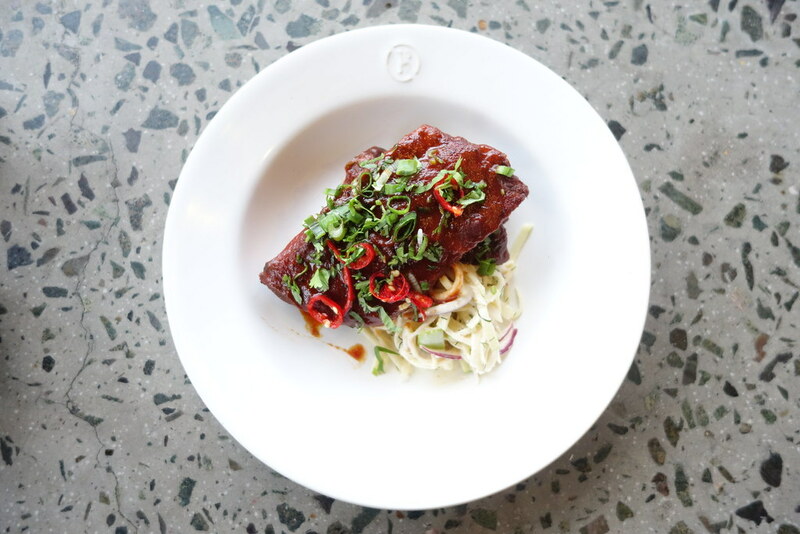 Unless they’re from the Rusty Keyhole in Kampot, I’m not the biggest fan of ribs, but I did enjoy these – the apple and kohlrabi slaw in particular. 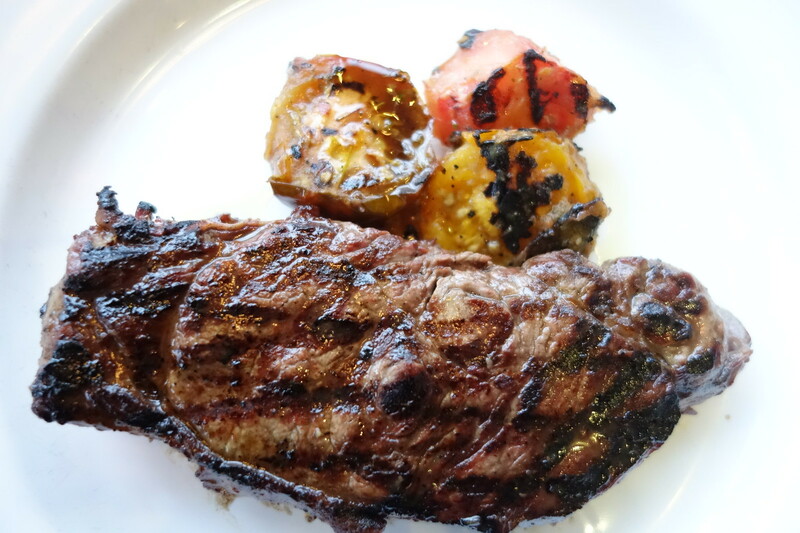 My dinner date opted for the sirloin with wood-grilled tomatoes, marjoram and capezzana. 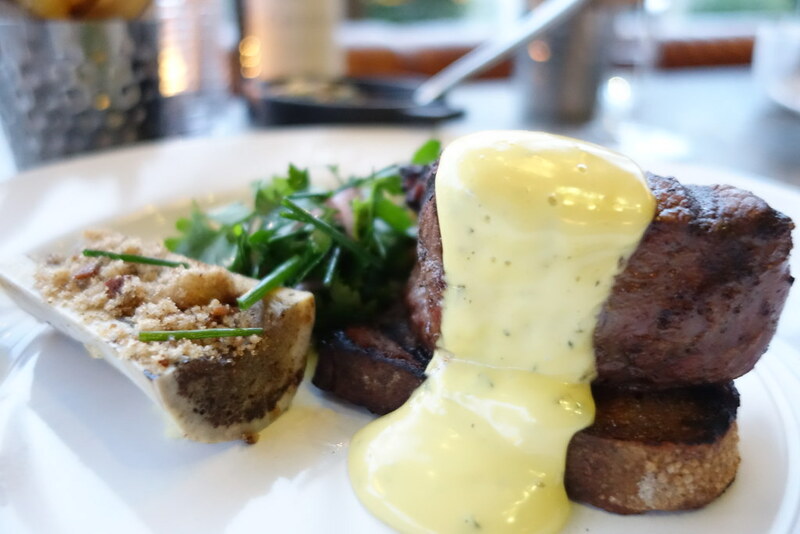 I went for the fillet, served with bone marrow, smoked bearnaise and a herb salad. I much preferred my accompaniments, but I wish I had substituted the fillet for the sirloin. The bone marrow was deliciously buttery, and I also asked for a wild mushroom gravy to go with the dish, too. 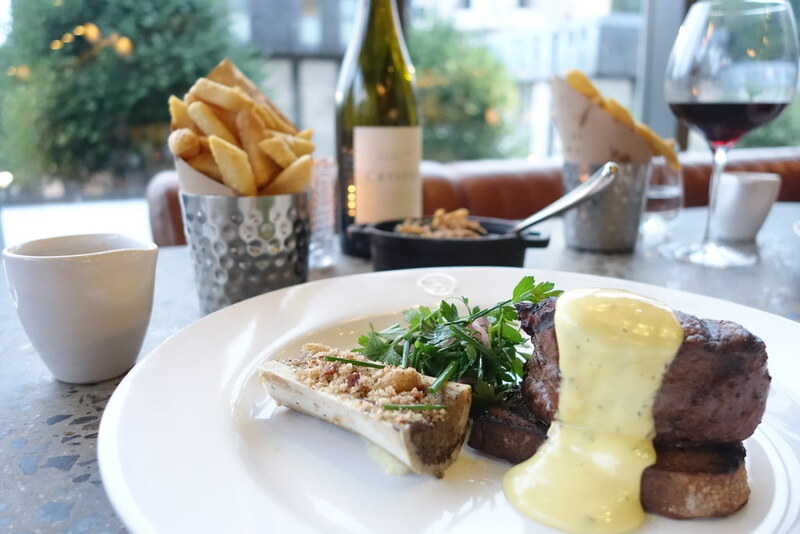 Having said that, I really enjoyed my dish – the steak was cooked beautifully, the fries were crispy and the wine (a 2015 Crystallum Pinot Noir) was delicious. We popped in on a Wednesday, where we managed to get 30% off of the wine, so it’s worth looking into if you do decide to go. 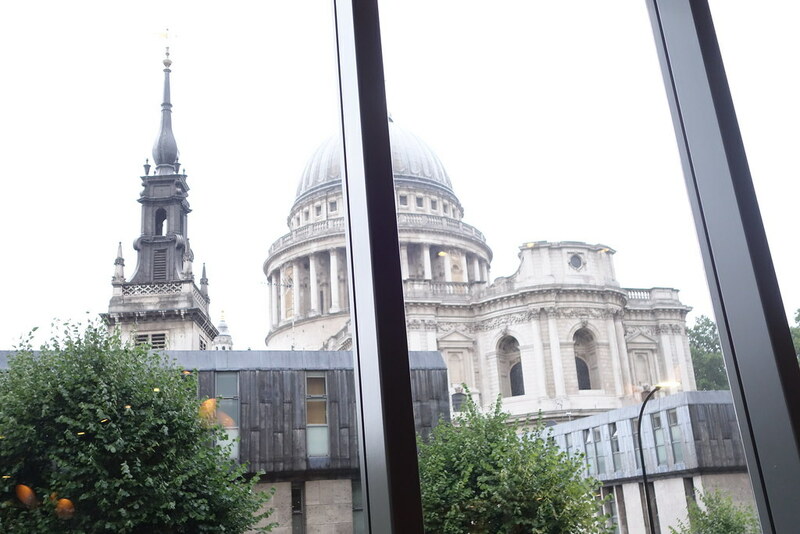 By the time we managed to battle our way through the steaks we were far too stuffed for dessert, so made the most of the view before having another little explore of the venue. The staff were really helpful, friendly and knowledgeable about all of the whiskeys, and they had some that were a hundred years old! 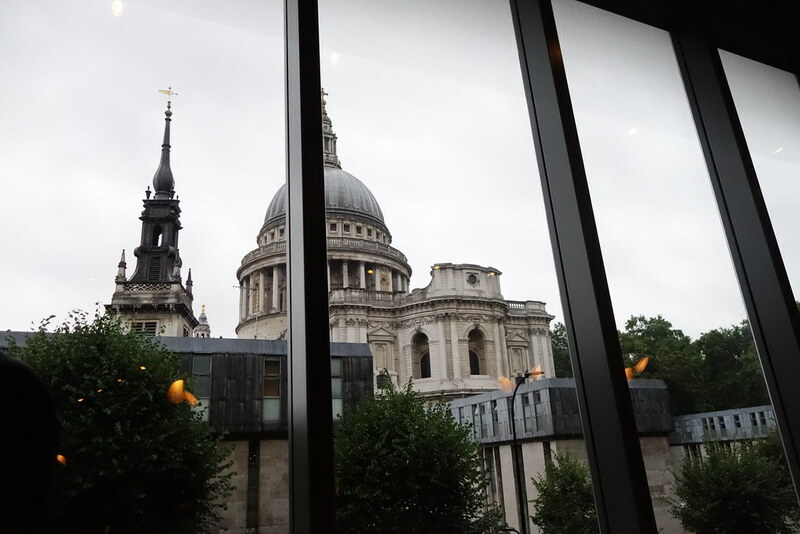 All in all I was pleasantly surprised and had a wonderful time at Barbecoa, and would definitely recommend it if you’re in the area – be sure to pop in to the cathedral first! 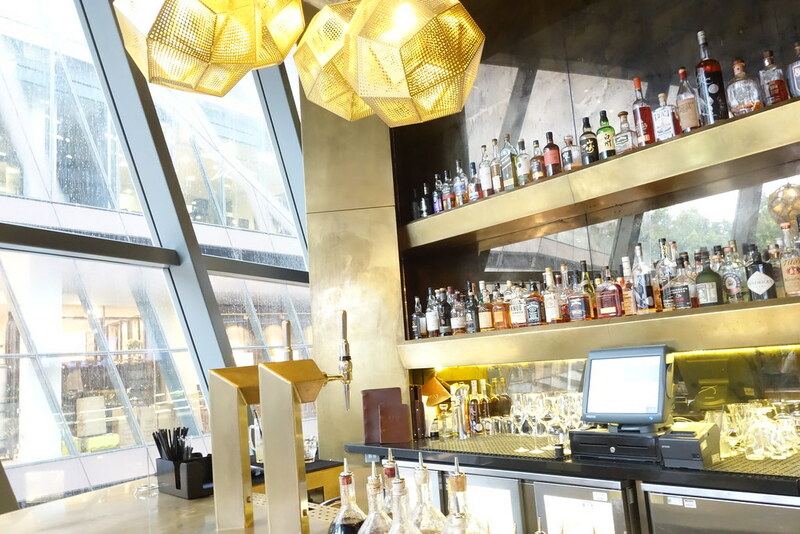 Have you been to Barbecoa? What were your thoughts? Be sure to comment below, or let me know on Twitter, Facebook, or Instagram! 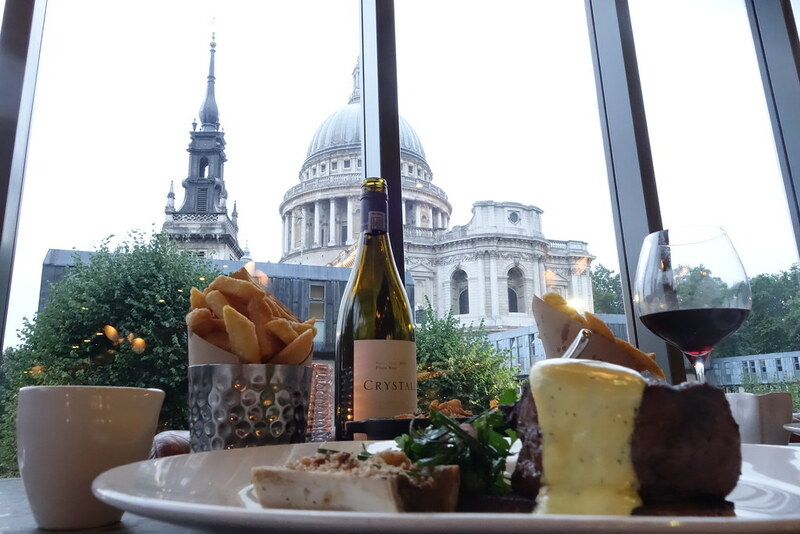 I was invited to Barbecoa for purposes of review - all opinions my own. That sounds incredible – I definitely have to check that out! 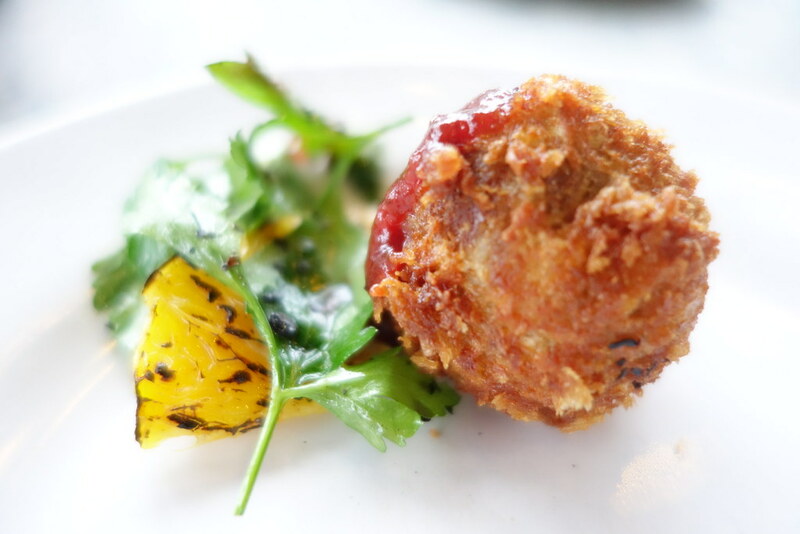 Those duck croquettes sound SO tasty! And I’ve heard great things about the puddings at Barbecoa too, I really must give it a try. There are so many nice places around this area. I’ll keep this in mind next time I’m there. As a meat eater this sounds like my idea of heaven! I’ll definitely have to check this out next time I’m in the area. 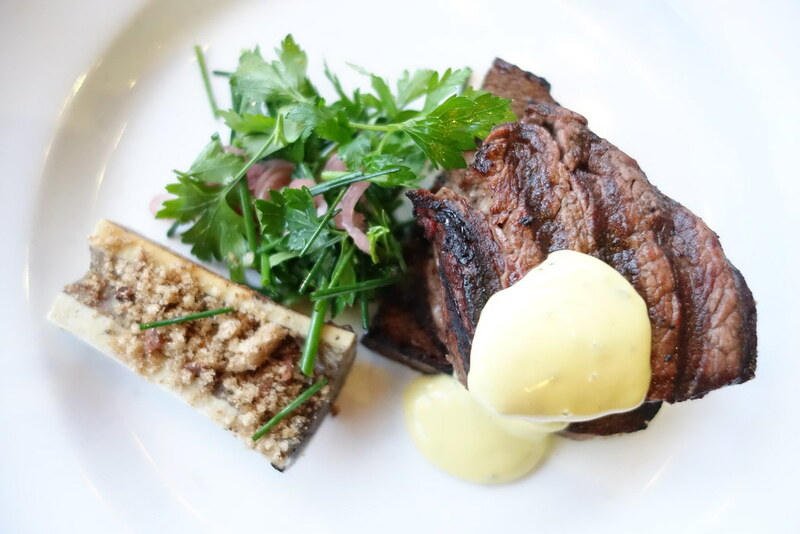 Your steak looks delicious – I love bone marrow so am practically drooling at that!